To Flip Manafort: Is Mueller Gathering Plea Deals? While many others targeted by special counsel Robert Mueller have agreed to cooperate, President Donald Trump’s former campaign manager, Paul Manafort, has pleaded not guilty to various charges brought against him. In Washington, DC, Manafort faces 15 to 20 years in prison if found guilty of conspiracy against the United States, lying to prosecutors, making false statements about his foreign lobbying work, failing to register as a foreign agent, and operating a decades-long, multi-million-dollar money laundering scheme. In the Eastern District of Virginia, Manafort faces a far heavier penalty for tax and bank fraud — 305 years in prison if convicted. And with the guilty pleas of Rick Gates, Michael Flynn, George Papadopoulos, Richard Pinedo, and Alexander van der Zwaan, investigators seem intent to push Manafort in that direction. The latest guilty plea, which has virtually flown under the radar amid the incessant cycle of breaking news, hits very close to home for Manafort — literally. Earlier this month, Jeffrey Yohai — Manafort’s former son-in-law and business partner — accepted a sealed plea agreement in response to conspiracy charges brought in a real estate fraud case. He also pleaded guilty to another count related to a bank account overdraft. Yohai has agreed to cooperate with state and federal prosecutors in New York and California, as well as with the special counsel’s office, to answer questions regarding Trump’s and his campaign members’ ties to Russia. On Friday, bankruptcy attorneys for one of Yohai’s businesses filed a motion stating they would no longer represent Yohai, citing unpaid bills and “lack of candor.” Yohai is currently receiving legal counsel through a public defender. From 2014 through 2016, Manafort invested hundreds of millions of dollars, together with funds Yohai had solicited from investors, that were rolled into limited liability companies (LLCs). The funds were used to purchase land and older properties in exclusive LA neighborhoods as spec home projects to turn a profit. Manafort, his wife Kathleen, and his daughter Jessica were the primary investors in three of the four properties. After Yohai was unable to move the properties, lenders filed default notices in August 2016 for the four LLCs. By December, the LLCs filed for bankruptcy protection. Records show that Manafort and Yohai are 50-50 partners in Baylor Holding, LLC, which was the ultimate majority owner of all four LA properties. 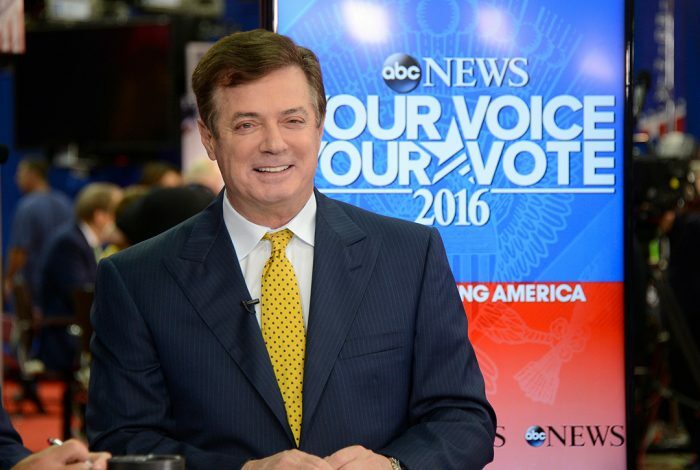 In May, Thomas H. Casey, a bankruptcy trustee, filed suit against Paul Manafort for $2.7 million, claiming he was a creditor for one of the failed estates. Unable to profit from the LA investments, Yohai became financially overextended. He worked with his father-in-law to obtain loans for property deals in New York. Yohai had attempted to take out a mortgage on a Manhattan property that was co-owned by his sister-in-law Andrea and her mother, by forging Andrea’s name on the documents. Andrew Brown, a federal prosecutor in Los Angeles, had been overseeing an investigation into Yohai’s real estate and bank dealings in California and New York several months before Robert Mueller was appointed as special counsel in May 2017. Around the same time, Senators Lindsey Graham (R-SC) and Sheldon Whitehouse (D-RI) — chair and ranking member of the Senate Judiciary Subcommittee on Crime and Terrorism, respectively — sent a letter to FinCEN requesting access to any suspicious activity reports (SARs) submitted by banks involving Manafort and Yohai. FinCEN — the federal agency responsible for investigating any foreign money laundering used in US real estate investments — produced dozens of SARs on Manafort and his businesses, and several on Yohai and his affiliates. A month later, Mueller sent a team of prosecutors to interview Yohai. Yohai was questioned about his relationship with Manafort and Trump, and their ties to Russian oligarchs. He was also asked about Manafort’s borrowing of tens of millions of dollars against his properties in New York. But Yohai is not the only one with close business ties that could compromise Manafort. There is little doubt that Manafort’s business partner of 30 years, Rick Gates, will be able to provide investigators with the most information. While prosecutors have turned over six guilty pleas in the investigation thus far, Gates’ testimony could be most damaging to Manafort’s case. Manafort resigned as Trump’s campaign chairman in August 2016, after investigators discovered handwritten ledgers revealing he received $12.7 million for his political consulting work for now-ousted Ukrainian President Viktor Yanukovych, a longtime ally of Russian President Vladimir Putin. Yanukovych is in exile in Russia and wanted for high treason in Ukraine. Manafort’s business dealings with members of organized crime have made him the target of a counterintelligence investigation since 2014. Manafort and Gates, were indicted in October 2017. Additional criminal charges were added in February, and shortly after, Gates agreed to a plea deal, and has since been cooperating with investigators. Gates played an active role in Trump’s campaign, and remained on board until March 2017, after reports of Manafort’s work with Russian oligarch Oleg Deripaska surfaced. Gates continued visiting the White House as late as June 2017. His cooperation with federal prosecutors reduces his sentence of up to nearly six years in prison. As Manafort awaits his July 24 trial in an Alexandria-based US District Court, his other pending case is scheduled for trial on September 17 in a DC US District Court. Prosecutors who are examining his business dealings will likely question his son-in-law about the hundreds of millions of dollars Manafort stored in offshore accounts and whether it was invested in their joint business ventures.